You go to the museum. Stand in line for half an hour. Pay 20 bucks. And then, you’re there, looking at the exhibited artworks, but you get nothing out of it. You try hard. You read the little annoying labels next to the artworks. Even get the audio-guide. Still nothing. What do you do? Maybe you’re just not into this specific artist. Or maybe you’re not that into paintings in general. Or art. But on other occasions you did enjoy looking at art. And even looking at paintings by this very artist. Maybe even the very same ones. Just today, for some reason, it’s not happening. Again, what do you do? What I just described happens to us all the time. Maybe not in the museum, but in the concert hall or when trying to read a novel before going to sleep. Engagement with art is a fickle thing – it can go wrong easily. And if aesthetics as a discipline is a meaningful enterprise, it should really try to help us to make sense of situations like this. Much of the standard apparatus of aesthetics will be hopelessly irrelevant here. The ontology of artwork is a fascinating topic, but how is that going to help you try to enjoy the exhibition you just paid a lot of money for? The same goes for other standard topics in aesthetics, like the relation between art and morality or the concept of beauty. I don’t think the purpose of aesthetics is to provide self-help for troubled museum-goers. But the enjoyment of artworks can be a bumpy ride and aesthetics should say something about this process, how it can go wrong and how it can be immensely rewarding. And how the line between the two can be very thin. Here I want to bring in the concept of attention. Depending on what you are attending to, your experience will be very different. A simple demonstration of this is the famous gorilla experiment about inattentional blindness: what you’re attending to has serious consequences for whether you spot a man in a gorilla costume dance in the middle of the screen. 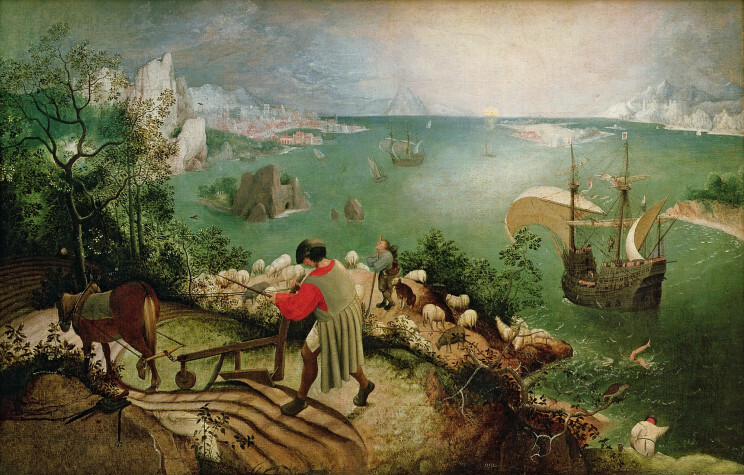 Landscape with the ‘Fall of Icarus’ by Pieter Bruegel de Oude (1526/1530 – 1569). Public domain via Wikimedia Commons. You may or may not identify this as a 16th century Flemish landscape painting by Bruegel. In fact, half landscape, half seascape. It’s also, a nice diagonal composition, with the peasant at the centre. Now you read the title: The Fall of Icarus. What? Where is Icarus? I don’t see anyone falling? Where? You feverishly scan the picture for some trace of Icarus and then you find him (or at least his legs): just below the large ship. Now look at the picture again, with this in mind. My guess is that your experience is now very different. While the part of the canvas where Icarus’s legs are depicted was not a particularly salient feature of your experience of the picture before (perhaps you didn’t even notice it), now everything else in the picture seems to be somehow connected to it. Attending to this feature can make an aesthetic difference: it can change your experience in an aesthetically significant way. Maybe you experienced the picture as disorganized before and attending to Icarus’s legs pulls the picture together. I’m introducing the jargon of ‘aesthetically relevant properties’ for properties (like Icarus’s legs) that are such that attending to them makes an aesthetic difference (whatever is meant by ‘aesthetic difference’). Aesthetically relevant properties are very different from ‘aesthetic properties’ (like being beautiful or being balanced or being graceful); this concept that has dominated aesthetics and the philosophy of art in recent decades. A lot has been said about aesthetic properties. My point is that we should talk at least as much about aesthetically relevant properties – not deep and venerable concepts like beauty, but simple features like Icarus’s legs. So we’ve got some jargon, some emphasis on attention, but how is this going to help us in the museum? The short answer is that if attending can influence our experience in general, it can also influence our experience of artworks. Attending to the irrelevant features of the artwork can seriously derail your experience. How about the other way round? Does attending to the ‘right’ features guarantee a rewarding and meaningful, ‘aesthetic’ experience? If only! I’m not even sure that there are ‘right’ features of artworks, but a reasonable thing to do when you’re just not getting the artwork you’ve been staring at is to move your attention around – attend to various, thus far unexplored features of it. Let me give an example. The Annunciation, predella panel from the St. Lucy Altarpiece by Domenico Veneziano (1442-1445). Public domain via WikiArt. And while I have had strong and rewarding experiences (maybe even ‘frissons’) in front of it, this does not happen every day. Just yesterday, I went there knowing that I’ll have to spend the afternoon writing a difficult letter of recommendation and that somehow distracted me so much that I couldn’t enjoy it at all. But here is something to try. The painter (Domenico Veneziano) had a little fun with the axes of symmetry: the symmetrical building is offcentre – it’s pushed to the left of the middle of the picture. And the ‘action’ is also off-centre – but it is pushed to the right, not to the left. Attending to the interplay between these three axes of symmetry (of the building, of the picture itself and of the axis halfway between Mary and the archangel) can make a huge aesthetic difference. Now, does attending to this interplay of the axes of symmetry guarantee that you have an aesthetically rewarding experience? Alas, not. It didn’t work yesterday, for example. But it often does work. Also, attending to this ‘aesthetically relevant property’ may not work for everyone – but it may work for some. What art critics (and audio-guides) should do is to point out aesthetically relevant properties. Pointing out aesthetic properties like being graceful is not so helpful. Talking about which part of Italy the painter was born is not so helpful either. But pointing out an aesthetically relevant property can transform one’s experience from one moment to another. In the museum, and also outside, it is worth paying attention to what we are attending. Featured image credit: ‘The statement’, by Paulo Valdivieso. CC BY-SA 2.0 via Flickr. Bence Nanay is Professor of Philosophy and BOF Research Professor at the University of Antwerp, where he is also co-director of the Centre for Philosophical Psychology and Senior Research Associate at Peterhouse, Cambridge University. He has published more than 90 articles on various topics mainly in philosophy of mind and in aesthetics. He used to work as a film critic and served on the jury of various major international film festivals. 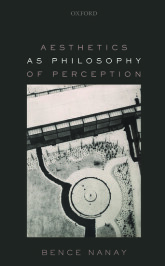 He is the author of Aesthetics as Philosophy of Perception (OUP, 2016). If you think of paintings and sculptures as like people – you should with luck be drawn to a particular one in a gallery – just the same as if you are a crowded cafe or public space, where some faces interest or attract you more than others. Or it might just be particular colours you like. But in museums and galleries it does not help if you are tired and hungry – or have queued too long. Paintings also need time for you to absorb what the artist is showing, so don’t give up too quickly. Thanks, J., I think that’s exactly right: I was trying to spell out what it is that we’re trying to ‘absorb’ and how we do so. And my guess is that it has a lot to do with ways of attending.